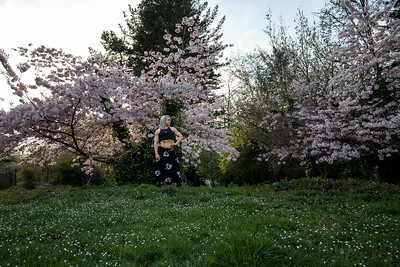 IFBB Pro Figure, Whitney Haycock, was kind enough to let me photograph her in front of her beautiful cherry blossom tree, which had just bloomed. This was an impromptu shoot, which meant that it had to be done quickly because we were losing light and rain was coming. Unfortunately, bloom season is short in Humboldt.